Viasion Technology is committed to offering the highest quality printed circuit boards’ at the most competitive pricing. We aim to provide customer excellence on all orders whether you need a simple prototype or a time-critical and technologically complex multi-layer printed circuit board product. Our highly specialized team can meet all your PCB needs. We combine our years of experience and the latest in manufacturing technology in order to ensure a quality product in a timely manner. Viasion manufactures PCBs with various materials including conventional FR4, high TG FR4, Halogen free FR4, Polyimide FR4, high frequency/high speed FR4, high thermal conductive CEM3, aluminum/copper base, PTFE. 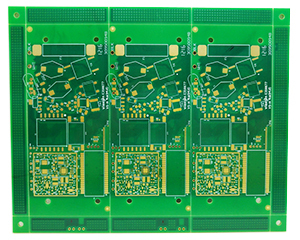 PCB surface finish includes HASL,OSP, immersion gold/tin/silver, hard gold plating, carbon ink, blue mask, ENEPIG. Viasion manufactures based on IPC guidelines and complies with ISO9001:2008 and RoHS /REACH standards. Wide range of laminate, such as CEM3, FR4, aluminum base, copper base, Rogers RO4350, RO4003, RO3003, Arlon 85N, 33N, VT47, Nelco N4000-13, Panasonic Megtron 4, Megtron 6, TU872, EM827, ISOLA IS410, FR408, Polyclad PCL370HR, etc. Panel size up to 21"x 59"
Panel thickness up to .250"